I love Battle Boards and Battle Reports. 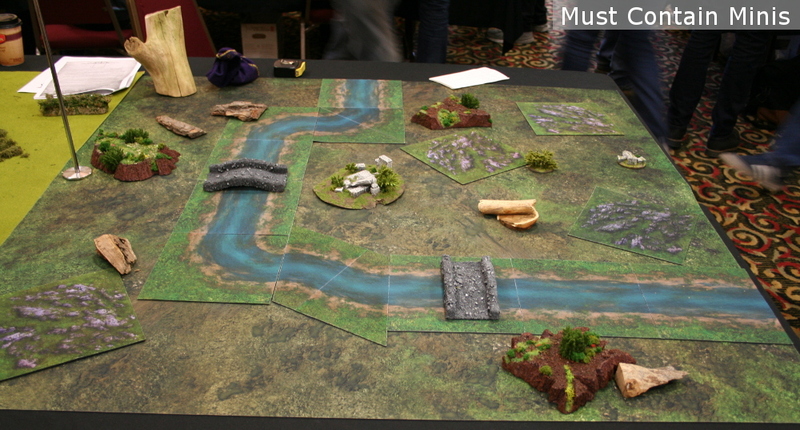 In fact, I even have a gallery on Must Contain Minis’ Facebook Page dedicated entirely to pictures of gaming tables. 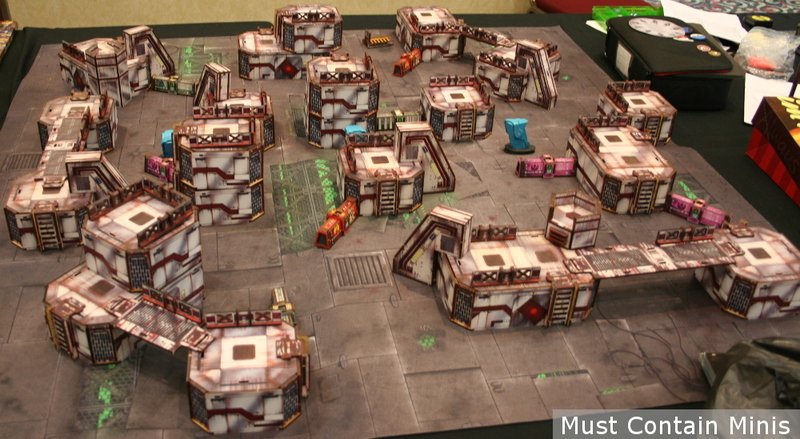 In this post, we take a look at a number of Battle Boards from SkyCon Light 2018. This event was a while ago in Kitchener, Ontario, Canada. For those interested, there is another SkyCon event on October 13 and 14 of 2018. 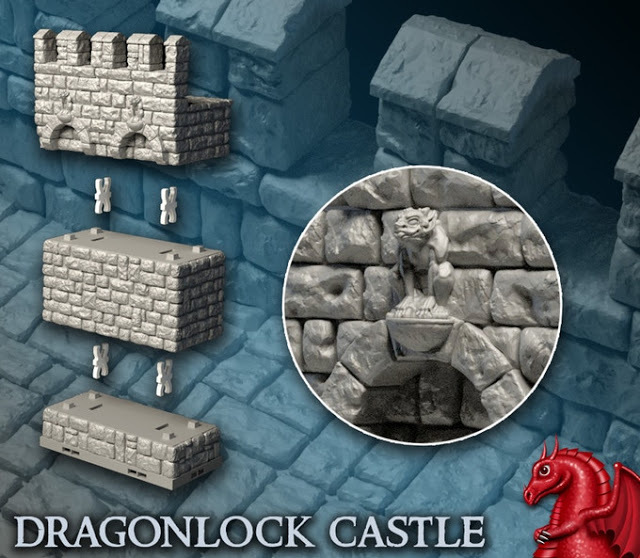 What SkyCon specializes in is Role Playing Games followed by Wargame Tournaments. 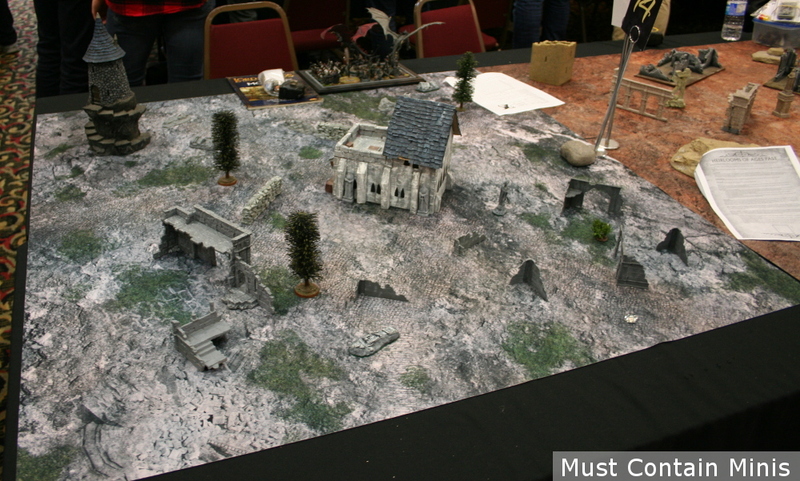 There was a large number of gaming tables at the event and the organizers did a good job to get enough terrain brought in for the event. 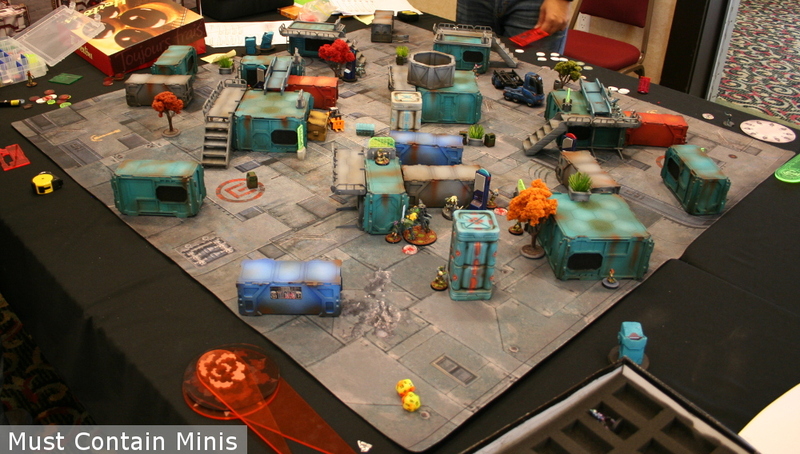 Below are a number of pictures of the Wargaming Battle Boards at SkyCon Light. This is one of the games that has my interest, but I have yet to try. At SkyCon Light, there were two tournament tables for this game. This impressed me as at the time, Star Wars: Legion was just released! 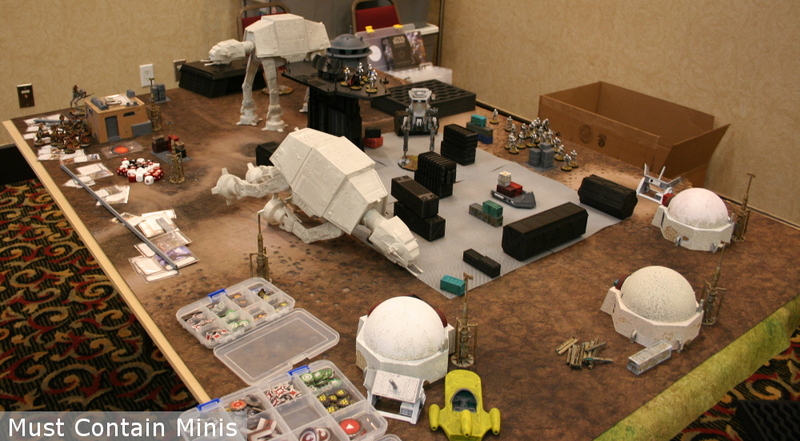 Another Star Wars Legion Gaming Table. This one appears to be more inspired by Endor. Again, Star Wars: Legion had just been released when this event took place. As such, I was very impressed that they got a couple of boards together and people for the tournament. It will be interesting to see how well adopted the game becomes with the gaming community. Malifaux is an interesting game. I like the rules, but am not a fan of the aesthetics of their miniatures. They are just too Wyrd for me. Puns aside, I honestly do like some of their minis, but check out these cool gaming tables. I like these cobblestone streets and buildings in this Malifaux Battle Board. Some characters battle in a Malifaux arena. Infinity is another one of those games that has my eye but I have yet to try. The tables at this event were sponsored by Ash Barker of Guerrilla Miniatures Games and they looked fantastic. If you haven’t checked it out, Ash is also the Author of Last Days: Zombie Apocalypse. These Infinity tables look fantastic. Nice Terrain! Another Fantastic looking table. These would be a joy to play. The minis at this event for the Hobbit were awesome!!! Many great painters showcased some excellent work. 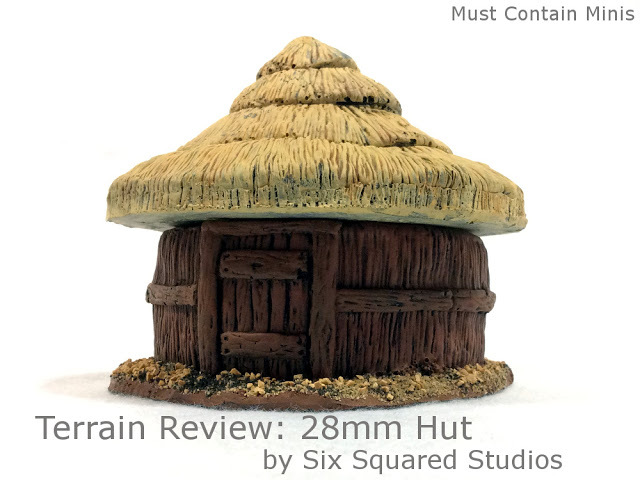 We have pictures of the minis in an earlier post, but below is one sample image. 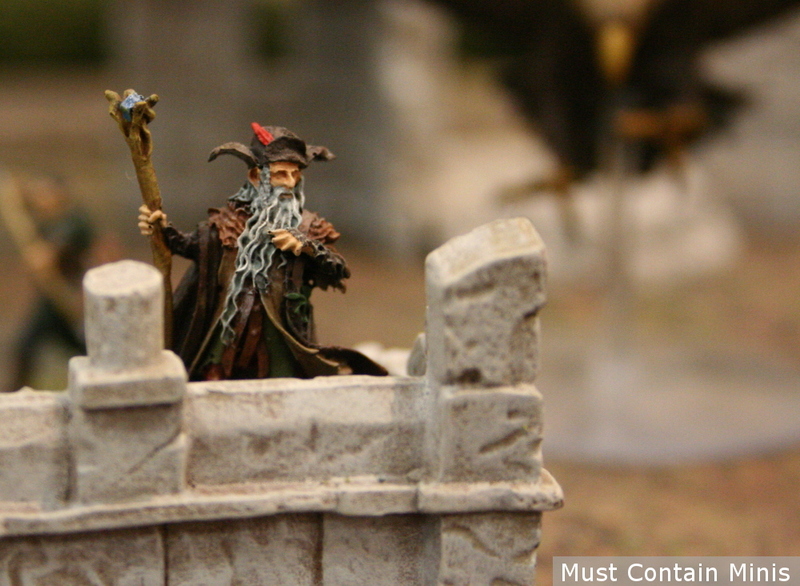 An amazing looking wizard perched high atop a castle. If this interests you, be sure to check out our Gallery Post specific to the Hobbit Miniatures at SkyCon. While the miniatures were great, the tables varied in quality. Some were great and some were okay. It is not easy to source terrain for so many tables, so I certainly wouldn’t be upset playing on any of these tables. Anyone that played on the Hobbit Tables at Hotlead would have been absolutely spoiled, and those tables are not a fair means of comparison. A more summery type of table. This one is neat in that it features neoprene terrain. I haven’t seen something like this outside of the Warmachine / Hordes community, but it works. This one is not as fancy as the other tables, but it works. Most people staged their armies on the gaming tables during the “Armies on Parade” lunch break. That is the time that I took the pictures of the tables. As such, I didn’t get too many pictures of their tables on their own. Below are a couple of pictures of some tables with armies posed on them. 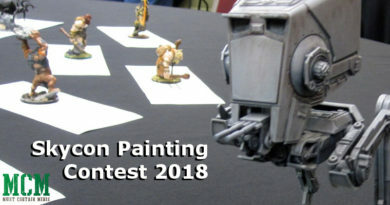 Be sure to check out my Minis of the SkyCon Hobbit Tournament Article for more pictures of the great minis at this event. 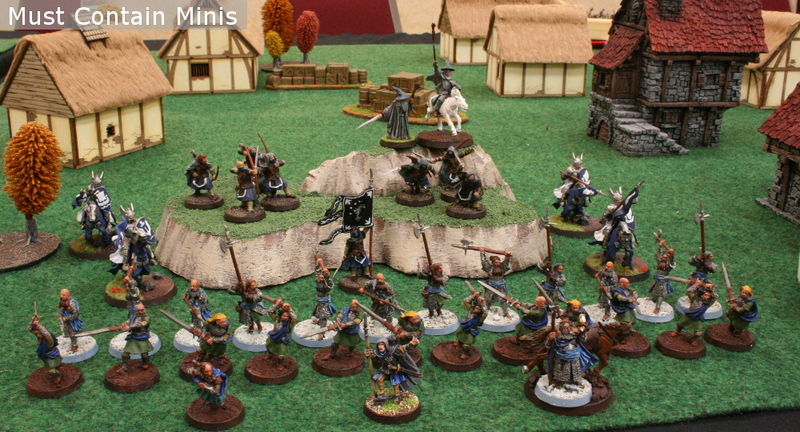 An Army posed on one of the gaming tables. Another really cool table. This one had a couple of layers too it, but you can only see the bottom one in this photo. Cool minis. They had nearly 30 people show up for this tournament. Aside from the four tournaments pictured above, there were plenty of other games to play. 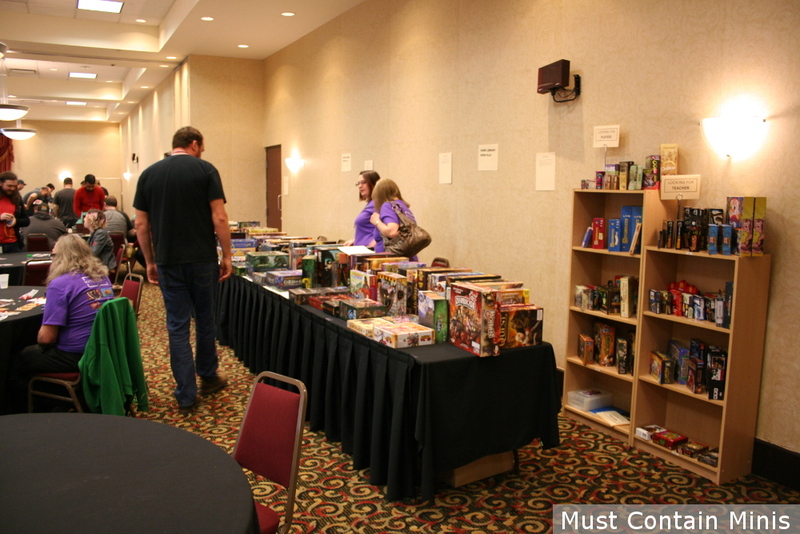 The folks at SkyCon had a large library of Boardgames and many Role Playing Games (RPGs) to try. 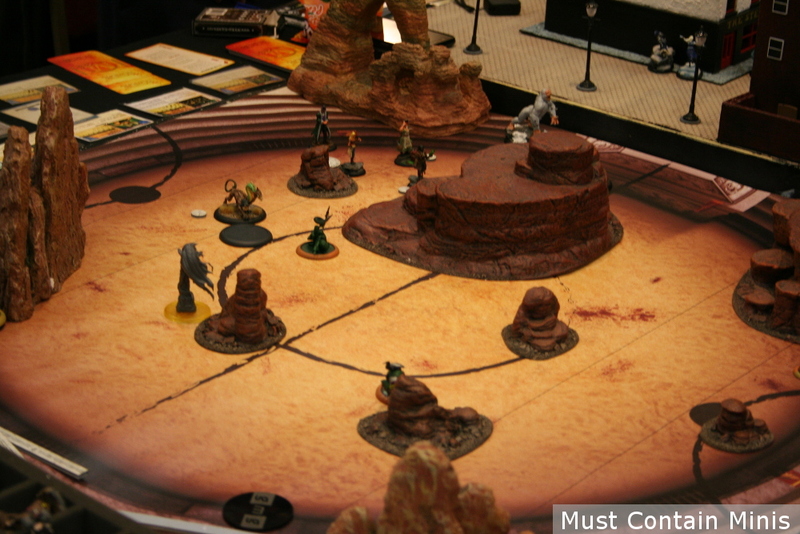 There was also one miniatures participation game (pictured below). Check out this Battle Board. Lots of terrain there! 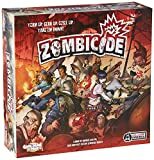 A neat participation game. I don’t remember the details of the game, but it was fun to watch. I got some really nice pictures of the minis from this game so I might upload them later as a separate post. If I remember right, they had a couple of rooms full of RPG games. 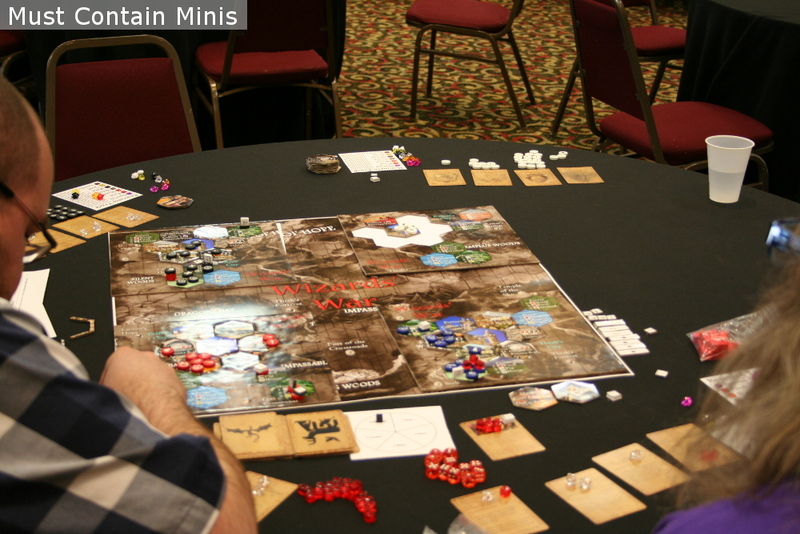 The main RPG System at this event was Pathfinder, but other systems were played too. Check out this Board Game Library. You could sign these out and play them just with your admission fee to the event. One of the things that I love about gaming conventions is trying out new games and checking out cool tables. As far as participation miniatures games, SkyCon Light (2018) was light. That said, miniature participation games is not their current niche. There are plenty of miniature tournament games, tons of board games in their library and a plethora of participation RPGs. If you live in South Western Ontario and play games outside of Warhammer, check these guys out for their next event. You never know if a game you play will be covered by one of their tournaments. Furthermore, the gaming tables at the event were pretty cool and the venue gives a lot of space for gamers to utilize. Hopefully you enjoyed this look at the gaming tables at SkyCon Light 2018. I know I enjoyed checking them out. Special thanks goes out to the SkyCon Crew for providing Must Contain Minis with Media Access to their event. I appreciated the pass very much as my goal was to talk to vendors, check out gaming tables, and take photographs. 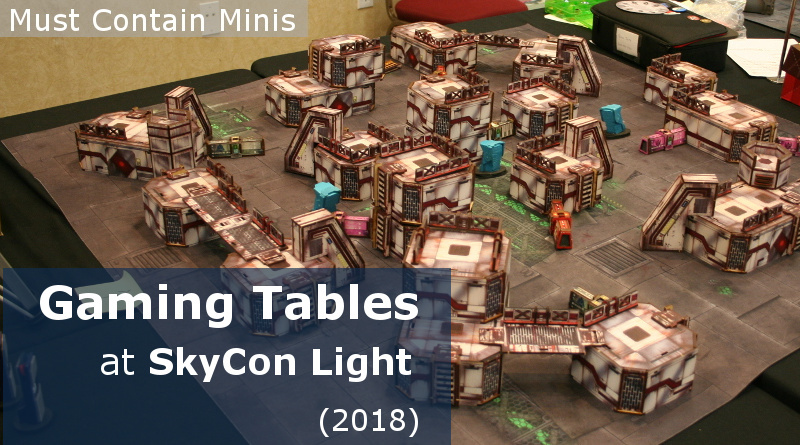 Hopefully everyone enjoyed this quick showcase of gaming tables from SkyCon Light 2018. Don’t forget to check out SkyCon for more information on their October 13 and 14 event (2018). ← Happy Canada Day Weekend!! !